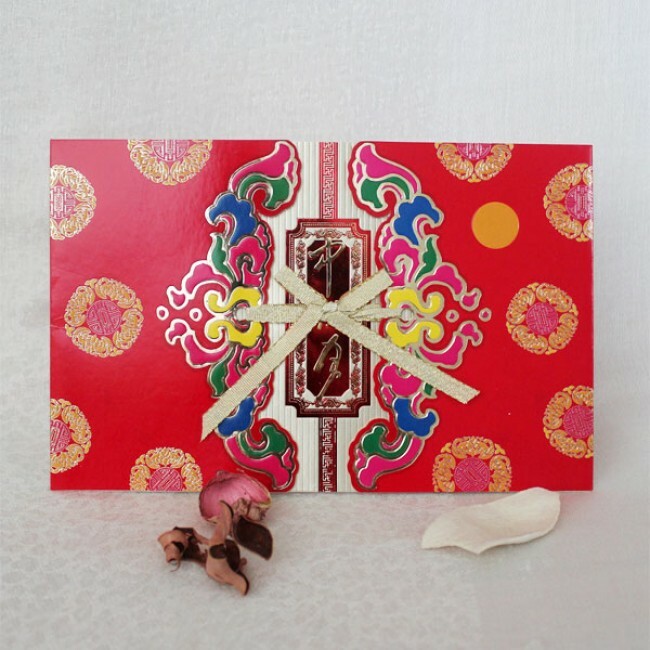 Moon Festival greeting cards. Sold in sets of 6. This is for 6 piece of greeting cards for celebrating the Moon Festival (also known as the Mid-Autumn Festival). The card contains traditional Chinese designs that include the clouds, the knots, the moon, etc. The three Chinese symbols on the insert read "the moon of mid-autumn". 5.5" X 8.6" (14cm X 22cm), folded cards, envelopes included.